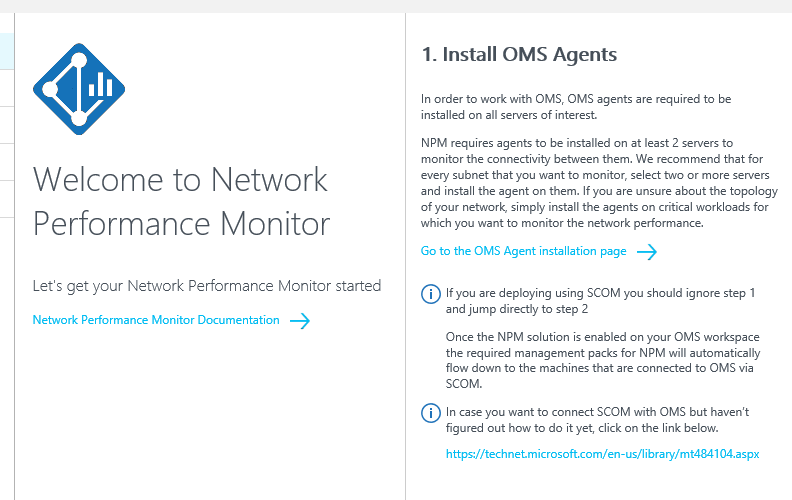 When Using OMS you can benefit of the Network Performance Monitor (NPM), that helps you perform near real-time monitoring of network performance parameters (such as packet loss and network latency) and localize network faults. 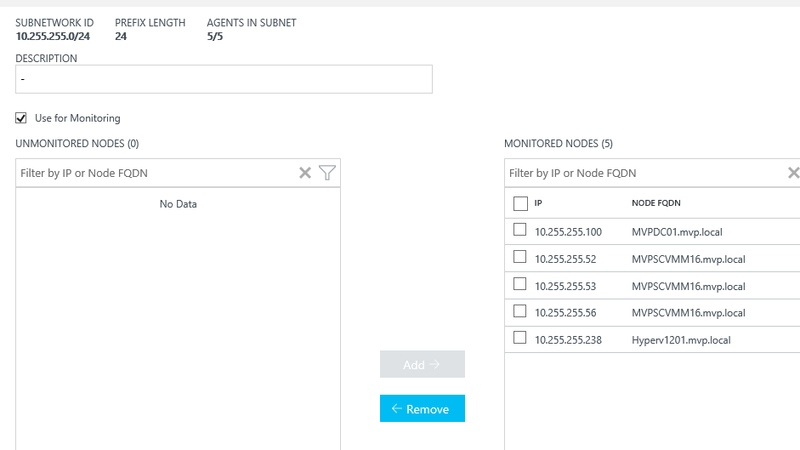 It not only detects network performance issues, but it also localizes the source of the problem to a particular network segment or device to make it easy for you to locate and fix a network performance issue. 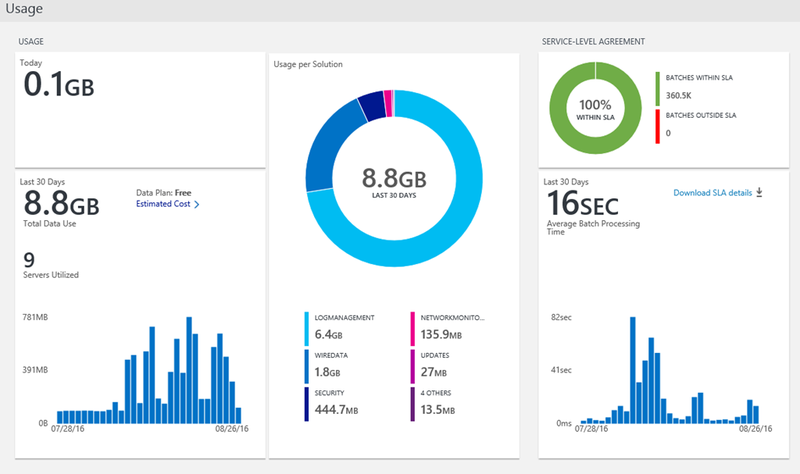 You can detect network issues with the solution dashboard which displays summarized information about your network including recent network health events, unhealthy network links, and subnetwork links that are facing high packet loss and latency. You can drill-down into a network link to view the current health status of subnetwork links as well as node-to-node links. 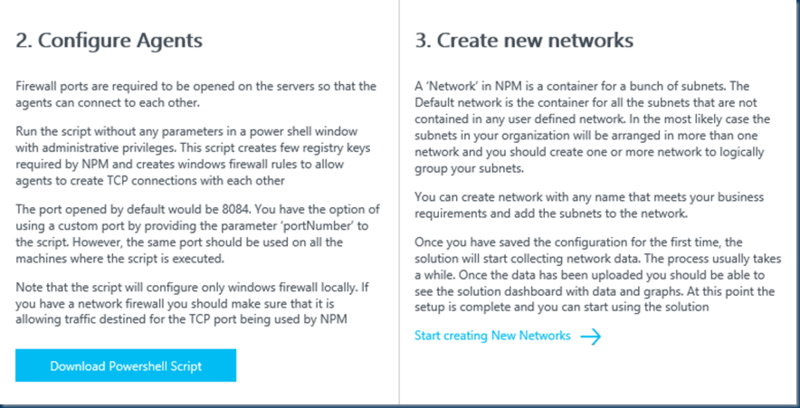 So what to do to get the full benefit of the NPM. 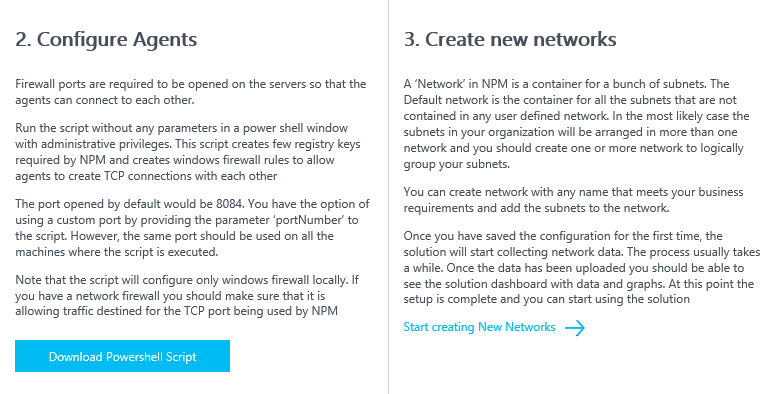 Deploying NPM involves four basic steps. 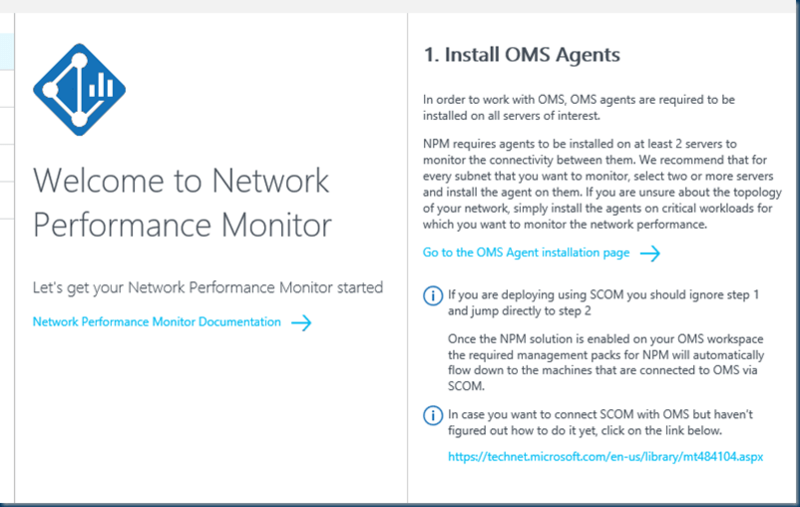 I Assume you already have the OMS Agent in place and connected and reporting to OMS,if not below are two screens on how to enable the NPM and installing the Agent. And a lot of cool new features are there. 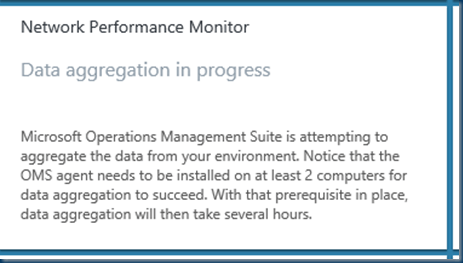 Installing the OMS agent Windows Or Linux. Now that the solution is enabled we can configure some networks. All the networks are discovered by the Agent and it will turn-up automatically. And don’t forget to save the network. now that the networks have names it is easier to understand the networks. 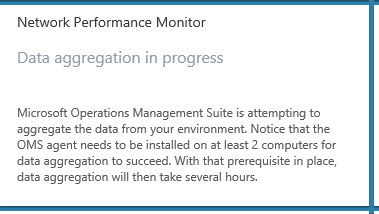 If you don’t want to monitor Certain networks you can disable the monitoring of this network. 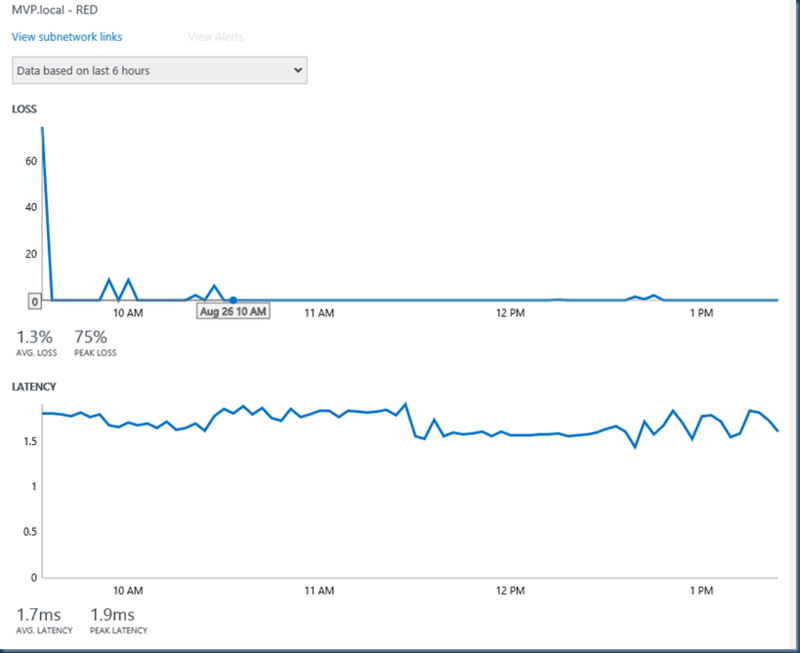 Network Performance Monitor generates health events about the connectivity between a pair of nodes or subnetwork or network links when a threshold is breached. These thresholds can be learned automatically by the system or you can configure them custom alert rules. 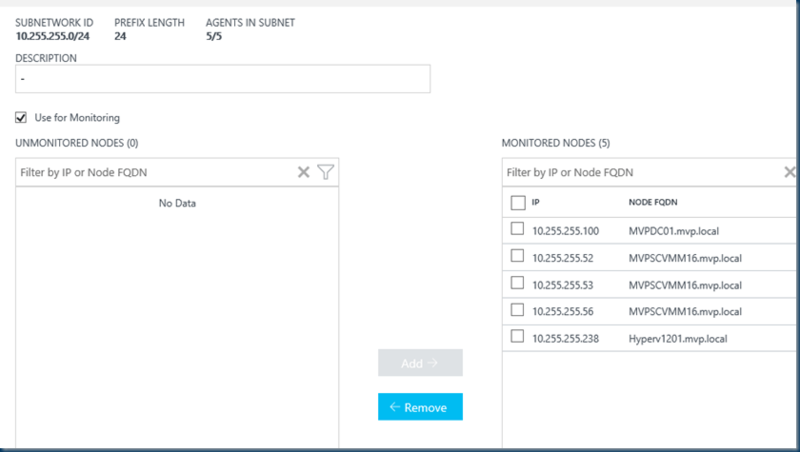 In the monitoring rules you can create a special rule set say for the SQL server , Webservers or DMZ / ISCSI networks with each a set of his own rules. With all this in place and when things are running you may need to tweak the thresholds a bit. There a great in depth overviews and you can adjust them to drip down. Normally this is not the best view for a network but this is a test lab and machines are not always running. If you click the View topology map link, you will see the hop-by-hop topology of the routes between the source and destination nodes. 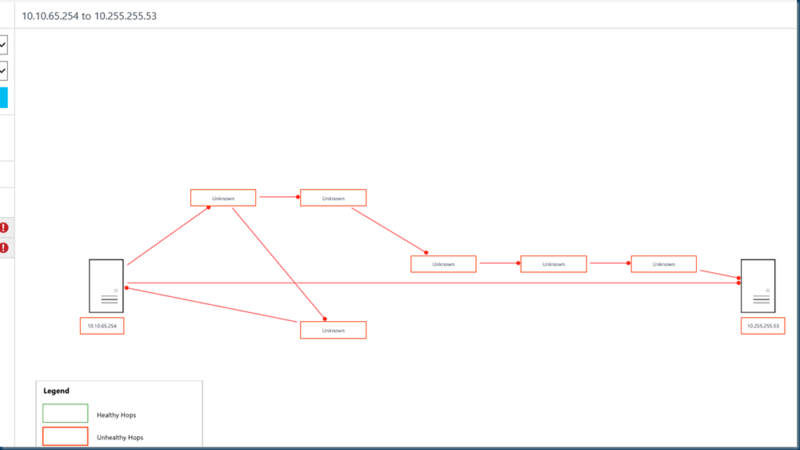 The unhealthy routes or hops will be colored in red, which will help you to quickly localize the problem to a particular section of the network. 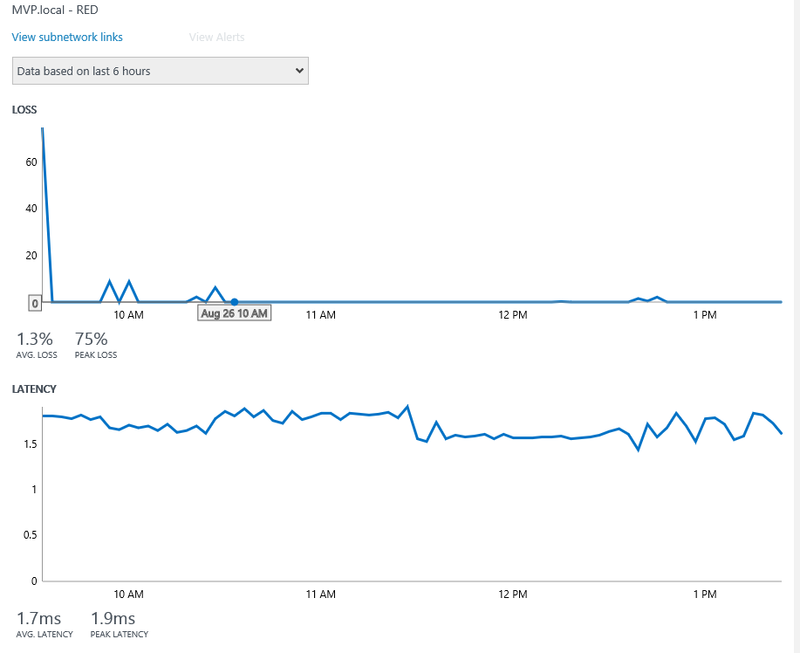 All data that is exposed graphically through the Network Performance Monitor dashboard and drill-down pages is also available natively in Log Analytics search. 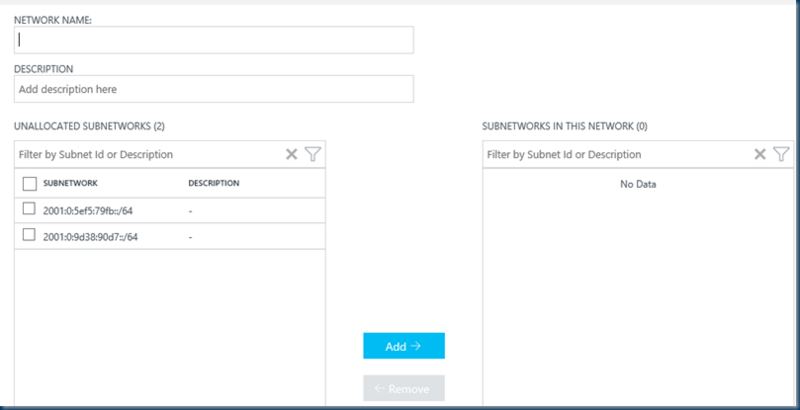 You can query the data using the search query language and create custom reports by exporting the data to Excel or PowerBI. The Common Queries blade in the dashboard has some useful queries that you can use as the starting point for creating your own queries and reports.